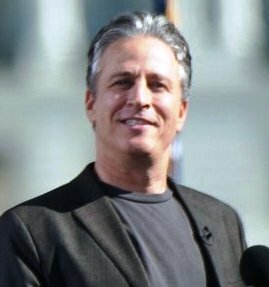 Comic Jon Stewart provided some of the clearest thinking of this bizarre election season about the militant ignorism abroad in the land, speaking near the end of the fervently non-partisan Rally to Restore Sanity and/or Fear in Washington on Saturday. “We live in hard times not end times,” he said, as Calbuzz couch potatoes (waiting for the first pitch in game three of the World Series) bestirred ourselves to take copious notes on Stewart’s implicit critique of the apocalypse-now voices of religious evangelism who argue that God’s wrath is the cause of AIDS, hurricanes and earthquakes. “If we amplify everything we hear nothing . . . The press is our immune system: if it overreacts to everything we get sicker — and perhaps eczema,” he said, a knock at the 24/7 news cycle fear mongers whose quest for ratings renders them unable to modulate how seriously to treat any story, whether it’s a missing co-ed in Aruba, trapped miners in Chile or the war in Afghanistan. Jon Stewart and Stephen Colbert’s Rally to Restore Sanity and/or Fear brought thousands of people to Washington, D.C.’s Mall – but did it bring the funny? With just days before the election, the comedians’ three-hour rally aimed to infuse a bit of “reasonableness” back into political discourse, without ever mentioning the midterms or encouraging people to go out and vote. 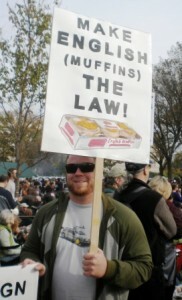 Rally attendee estimates ranged from Comedy Central’s 250,000 to Stewart’s reasonable guess of 10 million, and the event featured a variety of musical acts and comedic bits. But it also featured poorly placed jumbo screens, an ineffective sound system and some seriously dull moments from the stage. Following a far-too long opening set featuring The Roots and John Legend, Mythbusters stars Jamie Hyneman and Adam Savage took the stage. The bit was a total dud, with the crowd lackadaisically participating in their “experiments,” including jumping and laughing on cue. Meanwhile, out on the campaign trail, Jerry Brown kicked off a three-day flyaround at his headquarters in Oakland where SacBMinus reporter David Siders reported that Brown lost his train of thought while talking about jobs and the economy. 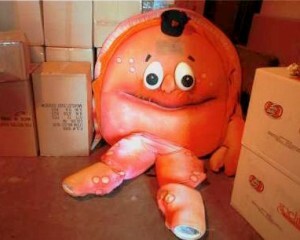 The Armies of eMeg quickly jumped on the item and sent it out to reporters with delight, suggesting that Old Man Brown had lost his marbles even before his campaign drive had even begun. 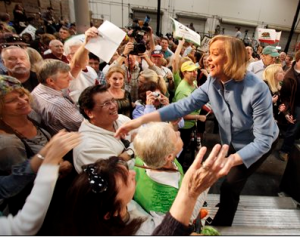 Meg Whitman Herself started off her own barnstorm in Costa Mesa asking Orange County supporters, “We’ve got the chance to make some history here don’t we?”? after driving up the the event in her green “Take Back Sacramento Express” bus. 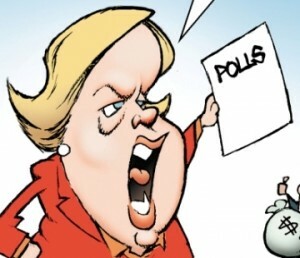 Unless the polls that say she’s way behind Brown among women, Latinos and independents turn out to be correct. In which case, the only history she’ll make is having run the most expensive losing campaign for governor of all time. 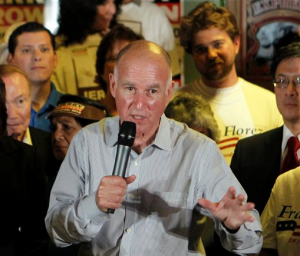 After Oakland, Brown was scheduled to rally the troops in Stockton, Merced, Fresno and Bakersfield; on Sunday he planned stops in Eureka, Chico, Sacramento and Riverside; and on Monday rallies in San Diego, Los Angeles, Salinas and Oakland. Whitman’s Saturday schedule took in Costa Mesa, Vista, Sacramento and Cupertino; on Sunday she was scheduled for Burbank and Santa Barbara, and on Monday she’s due to visit Woodland Hills, Santa Ana, San Diego and Temecula. 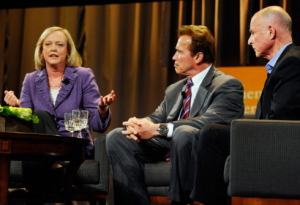 Whether Meg Whitman tastes personal triumph or bitter defeat on Tuesday, her do-it-my-way campaign for governor will end with a bunch of winners: the scores of media, polling, online, policy and strategic consultants who backed up the truck and hauled off many, many millions of dollars of her money. 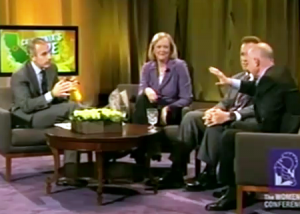 In a year when the Supreme Court threw off all restrictions on corporate and labor campaign spending, Karl Rove pioneered new methods for funneling secret funds into races across the country and more than half of the members of the U.S. Senate were millionaires, eMeg secured her own special place in political history by tossing at least $140 million of her own fortune into the pot – making her bid for governor a more expensive proposition than Al Gore’s effort to become president in 2000. As of this week, her burn rate was up to $1.4 million a day. Pity the poor billionaire seeking high office in California : Not once in modern political history has a self-financed candidate captured a top-of-ticket party nomination and gone on to be elected governor or U.S. senator in the state. This historic trend again marks California as a great exception, in contrast to states like New Jersey and Texas , where multimillionaires routinely prevail. Good luck and Godspeed on Tuesday, Meg. Sorry we never got to have that dinner. eMeg — The Person: Despite considerable sideline agitation by the esteemed Dr. P.J. 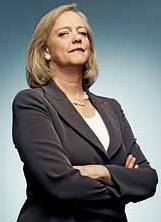 Hackenflack, our staff psychiatrist, Calbuzz has refrained by and large from trying to explain Meg Whitman’s personality, or to examine her skills at mothering, or to look too deeply into her intellectual, emotional or spiritual motivations. Frankly, we don’t really know the woman. Our attempts to get up close and personal have been rebuffed, so we have — for the most part — not gone all psychological on eMeg (as we have on Jerry Brown, aka Krusty the General, aka Gandalf). “She was very angry, irrational when under stress, very difficult to be around,” said a former eBay technology executive who was present at a meeting to discuss a June 1999 crisis in which the eBay computer system crashed and could not be reliably restored. This executive said that Whitman threw a phone or pager at a marketing representative from Veritas Software who had brought the unwelcome news that a Veritas engineer could not attend the meeting. One other employee present corroborated this employee’s account, and a third employee present corroborated that Whitman was irate and used profanity but was unable to see whether or not she threw something at the marketing representative. So, maybe Nicky Diaz — the housekeeper she fired abruptly after nine years, after finding our she was an illegal immigrant — got off easy. 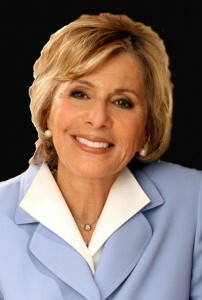 This just in: Joe (Ballgame) Garofoli reports that Barbara Boxer is — oddly — saying the magic words as well. Field Poll numbers: Latest survey has Gavin Newsom leading Abel Maldonado in the Lieutenant Governor’s race 42-37% and Steve Cooley and Kamala Harris at 39-38% in the race for Attorney General. Jump ball. 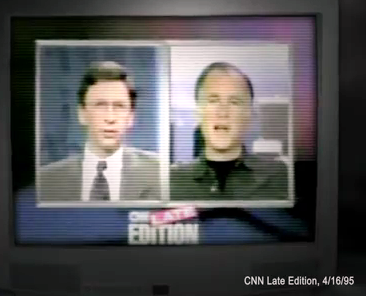 Meg’s Latest Jerry vs Jerry ad: Nice clip from 1995 of CNN’s Frank Sesno asking Brown “What did you lie about as governor?” Says Jerry: “It’s all a lie!” And Team Whitman wants you to remember that’s what he said. 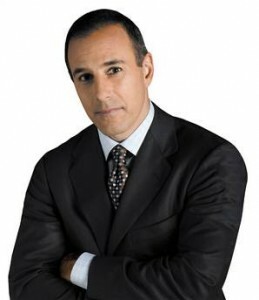 Jerry’s Kids will probably say, “Hey, that’s back when he was a radio host, trying to be provocative. 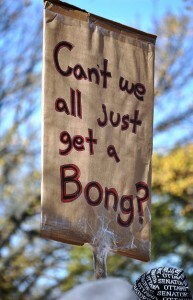 Old news.” If they bother to respond at all. Despite much huffing and puffing from the beltway media and an $8 million injection into Carly Fiorina’s campaign by the National Republican Senatorial Committee, Barbara Boxer has expanded her lead in the U.S, Senate race to 49-41%, according to the latest Field Poll. 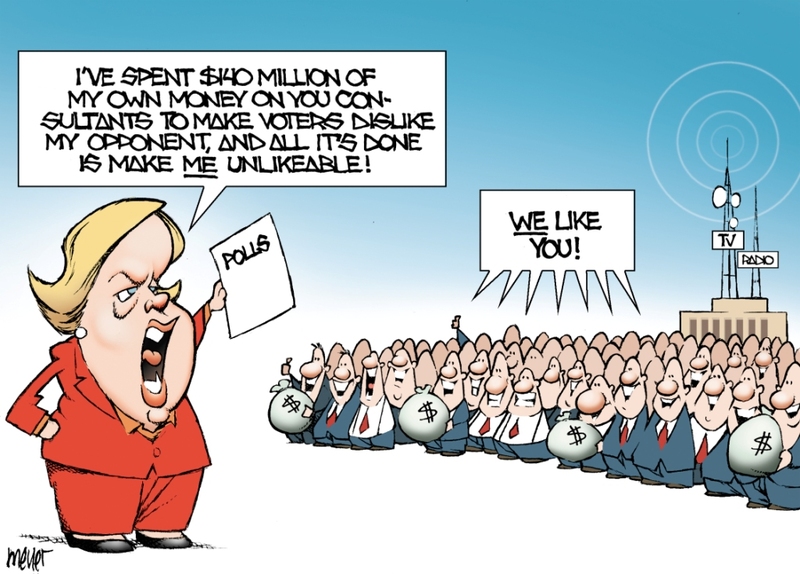 Boxer owes her lead to her standing among independent voters, women and Latinos, and also to the fact that non-partisan voters have a very low opinion of Fiorina – 30% favorable versus 51% unfavorable – compared to their view of Boxer, 50-36% favorable. With her background of having exported 30,000 jobs when she was CEO of Hewlett Packard, and with her stands against choice, for offshore oil drilling and against California’s climate change law, Fiorina has positioned herself squarely to the right of the California mainstream. 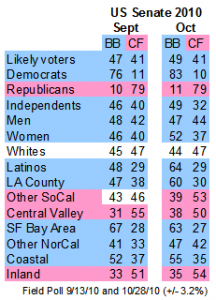 The only broad demographic groups where she is ahead more than the survey’s 3.2% margin of error are with Republicans (79-10%) and with voters in Southern California outside of Los Angeles (53-39%) and in the Central Valley (50-38%). While Boxer’s favorable-to-unfavorable rating is just 48-47%, she is drawing more than eight in 10 Democrats, about half the independents and men and a majority of women. She has nearly two-thirds of the Latinos, plus six in 10 voters in Los Angeles and more than six in 10 voters in the San Francisco Bay Area. Among those who have already voted by mail – 21% of the survey sample – Boxer leads 48-42%. And because the Field Poll’s sample contained 44% Democrats and 39% Republians – a five-point differential, compared to 13 points in official registration – the so-called “enthusiasm gap” is accounted for. Moreover, Field’s likely voter sample contains just 51% women, while many pollsters, including last week’s Los Angeles Times/USC Survey, anticipate that women will comprise 53% of the total electorate. If that is accurate, then the Field Poll could actually be understating the vote for Boxer. In addition, Field’s likely voter sample contains 16% Latinos – a proportion that is three percentage points below registration. The Field Poll interviewed a random sample of 1,501 registered voters, listed in the Secretary of State’s voter file by landline or cell phone, depending on their listing in the official file. From them, Field culled 1,092 likely voters who said they had already voted or who said they were “absolutely certain” to vote and whose voting history – if they were not newly registered – suggested they were likely to vote. Likely voters in Field’s survey constitute 73% of the registered voters who completed interviews. Interviewing was conducted in English, Spanish, Cantonese, Mandarin, Korean and Vietnamese in two waves: Oct 14-19 and Oct 20-26. The margin of error for the overall likely voter sample is +/- 3.2%. Calbuzz obtained the Field Poll from sources because we have been denied our offer to become paid subscribers. We hate sounding cynical, but the Armies of eMeg have given us good reason to suspect the worst, as in: Could it be that Whitman’s people have concluded they have completely lost the Latino vote (since polls show Whitman drawing well below 30%)? And so they opted to pander to the right-wing of the Republican Party, which is eager to see Nicky Diaz deported and which was disappointed, not that eMeg sent Nicky packing, but that she didn’t turn her into immigration authorities. By far the most offensive aspect of Whitman’s performance in the matter, however, is her disgraceful public posture of shedding crocodile tears while blithely throwing Diaz under the bus, all the while whining and wallowing in self-pity about how this is breaking HER heart. Simply shameful. 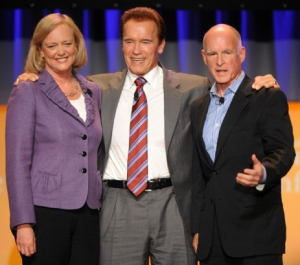 Gaining hugely among women, independents, and Latinos in the past month, Democrat Jerry Brown now leads Republican Meg Whitman 49-39% among likely voters in the governor’s race, according to the authoritative betting sitesField Poll – widely regarded as the most accurate political survey in California. Despite spending $38 million from Sept. 1 to the middle of October – and many millions since – Whitman has only made herself more unpopular, while Brown, who spent about $24 million in the same period, saw his popularity improve slightly. Whitman’s favorable-to-unfavorable rating is now 42-51%, slightly worse than her 40-45% standing in September. Meanwhile, Brown’s favorable-to-unfavorable rating now is 47-47% compared to 44-47% in September. Team Krusty, it seems, has made the election a referendum on Whitman’s character while the Armies of eMeg have been unable to force voters to focus on their narrative about Brown’s record on the issues, which they calculated would frame the race. Essentially, Whitman’s extravagant TV campaign, overseen by veteran GOP strategist Mike Murphy, has failed either to make his candidate popular or to knock Brown off his stride. But Brown’s guerilla advertising, made by longtime associate Joe Trippi and his shop, have driven up Whitman’s negatives while making Brown seem more authentic and knowledgeable. 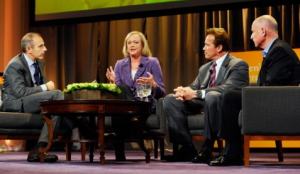 The Brown campaign unveiled a killer ad on Wednesday, this one simply clips from the Women’s Conference interaction on Tuesday among NBC’s Matt Lauer, Brown and Whitman in which Brown agrees to take any negative ads off the air if Whitman will do the same. But she refused. 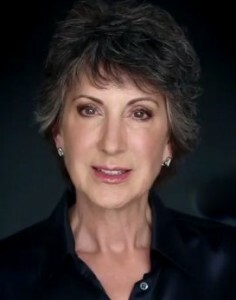 On Wednesday, the Brown campaign gave Whitman 24 hours to decide if she would accept the no-negative-ad challenge before putting the ad on the air (although it’s not really a negative) and said he’d call on all those groups supporting him to take down their negative ads if she would agree to do the same. 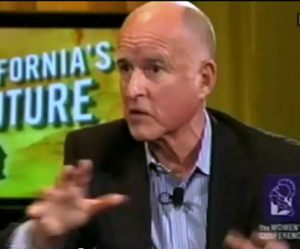 Brown’s comfort with taking down all negative ads reflects his lead in public and private surveys. In today’s Field Poll, Brown is pulling about eight in 10 Democrats while Whitman has about three-fourths of the Republicans. 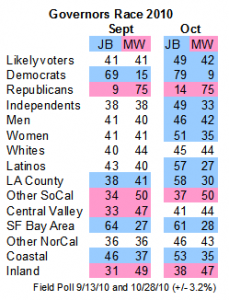 But among independents – the crucial, cross-over voters who determine statewide elections in California? – Brown has taken a commanding 49-33% lead, up from a 38-38% tie in September. Likewise, among Latinos, who had flirted with Whitman until learning that she had unceremoniously fired her housekeeper of nine years and would deny a path to citizenship even for undocumented college graduates, the Attorney General has soared to 57-27%, driving Whitman’s margin below the campaign’s target of one-third of Latino voters. The only broad categories in which Whitman now leads outside of the poll’s 3.2% margin of error are Republicans, Southern California outside of Los Angeles (50-37%)? and inland counties (47-38%). But those inland counties only account for 29% of the vote and in coastal counties, which make up 71% of the vote, Brown leads 53-25%. Much of that comes from Brown’s huge 58-30% lead in Los Angeles County and massive 61-28% margin in the San Francisco Bay Area. Because voting-by-mail has already begun in California, the Field Poll was able to break voters into three categories: 1) permanent absentee voters (known in the trade as PAVs) ?who have already voted (21%); 2) those PAVs who will vote (34%); and 3) those who plan to vote Nov. 2 at their precinct (45%). Among all PAVs, Brown leads 48-40%, including by 48-41% among those who have already voted. He also leads 49-38% among those who plan to vote Nov. 2. The element of certainty among those who have already voted, coupled with the very tight ratio of Democrats-to-Republicans in the likely voter sample – 44% D and 39% R (compared to a 13% spread in official registration) – already incorporates effects of the so-called enthusiasm gap that is said to favor Republicans this election cycle. Moreover, Field’s likely voter sample contains just 51% women, while many pollsters, including last week’s Los Angeles Times/USC Survey, anticipate that women will comprise 53% of the total electorate. If that is accurate, then the Field Poll could actually be understating the vote for Brown. In addition, Field’s likely voter sample contains 16% Latinos – a proportion that is three percentage points below registration. 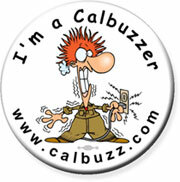 Calbuzz obtained the Field Poll from sources because our offer to become paid subscribers has been refused. Can’t anybody here play this game? The Giants won ugly to open the Blue State-Red State World Series on Wednesday, drubbing the Texas Rangers 11-7, but the Calbuzz MVP of Game One was Joe Garofoli of the hometown S.F. daily. While many others fell for eMeg’s tired stunt of placing a joke wager with a politician from the rival state in the Series,? 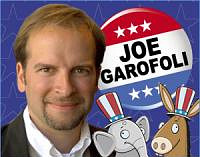 Joe Ballgame alone called out the candidate for shameless band wagon pandering by trying to associate herself with the sensational story of the Giants’ unlikely run into the Fall Classic. Among his other well-placed criticisms, he noted that she phoned Texas Governor Rick Perry to make the phony bet from a surf shop in San Diego, a town represented baseball-wise by the Padres, the club San Francisco beat to get into the playoffs. Now we strongly suspect that, if Her Megness actually ever did show up for a ballgame, she’d a) be wearing a cashmere sweater tied loosely around her shoulders; b) order a glass of chablis from the beer guy; and c) ask at the concession stand if she could get a tofu dog on a whole wheat bun. All that aside, however, we can only shake our heads at the breathtaking presumption of a rookie pol, who’s never been elected to anything, not only poaching on the perquisites of California’s actual governor but also anointing herself head cheerleader for a ball club, let alone an entire state. Instead of just accepting the brushback pitch that she clearly deserved, and that Garofoli quite properly delivered, however, Team Whitman thought it a good idea to pick a fight over Joe’s original item. Insisting eMeg’s status as a Giants fan was long-standing, they sent him a clip of an interview with a San Diego TV station in which she said she was rooting for the G-men in the playoffs, apparently to demonstrate her willingness to take a tough stance even if it meant offending viewers in Padre-town. Only problem was, the interview happened on Oct. 18, 15 days after the Giants beat the Padres on the last day of the regular season to win the National League West division crown and knock the San Diegans out of the post-season.? Sheesh. 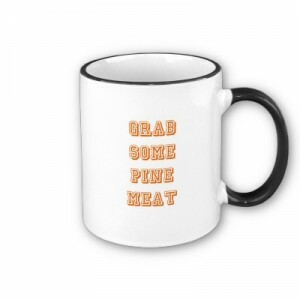 As such an avid fan, Meg, here’s some Giants slang you’ll no doubt appreciate: Grab some pine, meat.